A background check or background vetting is the process of looking up and compiling criminal, commercial and financial history of an individual. Vetting has become an integral process very often requested by employers on job candidates. This is especially used when the candidate is seeking a position that requires high security or a position of trust such as in a school, hospital, financial institution, airport, and government. Results of background vetting typically include past criminal history, employment verification, and credit history. Crimchecks is affiliated with Polygraph Truth Investigations based in Cape Town. They are internationally trained and highly skilled polygraph examiners. We are one of the very few accredited and licensed users of the Ideco AFISwitch digital scanner. This process takes only 24 - 48 hrs to get a result whereas actual fingerprints taken at police stations can take 6 - 8 weeks. This is the preferred and most accurate method to verify any possible criminal record. Studies done by EMPS show that the fingerprint scan check using AFIS is over 50% more accurate than the crim check using just the name clearance / ID number method. (This is due to fraud). These scanners are internationally used and FBI-approved. 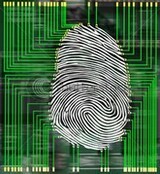 This is used to take digital fingerprints which are then electronically submitted through the South African Police Services (SAPS) AFIS system, to search for the criminal background status of a person. The rendering of a fingerprint clearance service by Ideco AFISwitch (Pty) Ltd on behalf of the South African Police Service (SAPS) is governed by the provisions of an agreement entered into between Ideco Ltd (Ideco) and the SAPS, and has also been formally announced in the Government Gazette, Vol. 496, No. 29319 dated 27 October 2006.